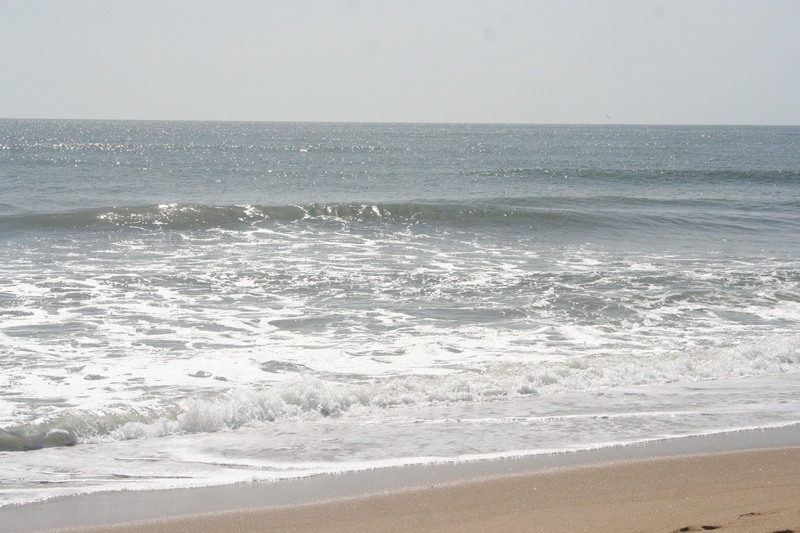 Traveling along an eleven-mile expanse of beach to, hopefully, see some wild Mustangs I am reminded of how much I love the Atlantic Coast. 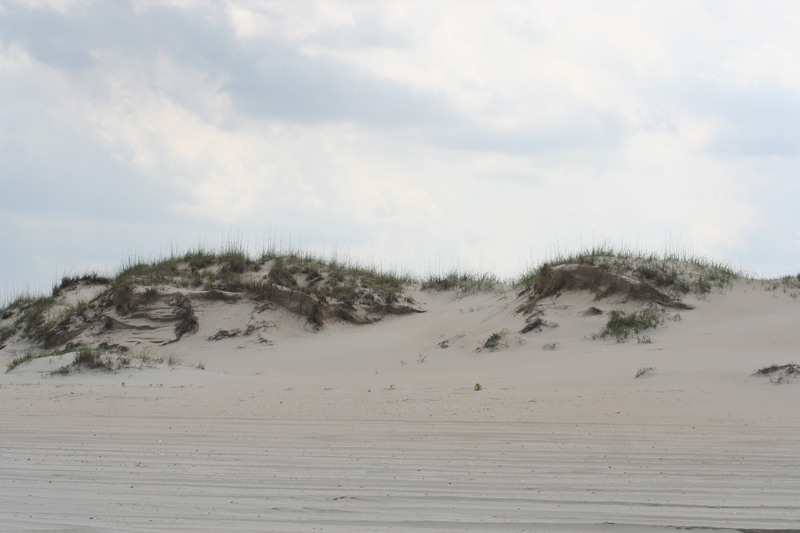 Having grown up along it’s shores I am partial to beaches with sand dunes instead of the rocky coastline you often find on the West Coast. 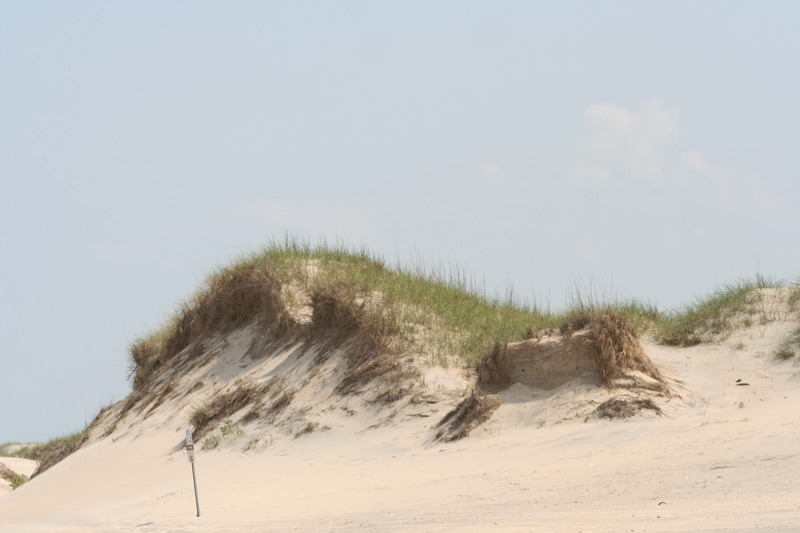 The sand is fine and soft and I love how the elements have created and recreated the dunes according to their temper. 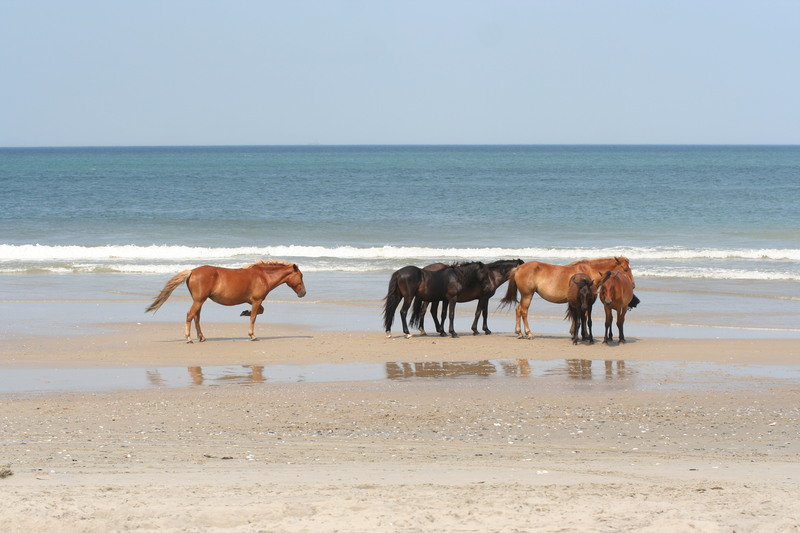 The Spanish Mustangs of Corolla are probably the most famous of all the wild horses found in North Carolina. 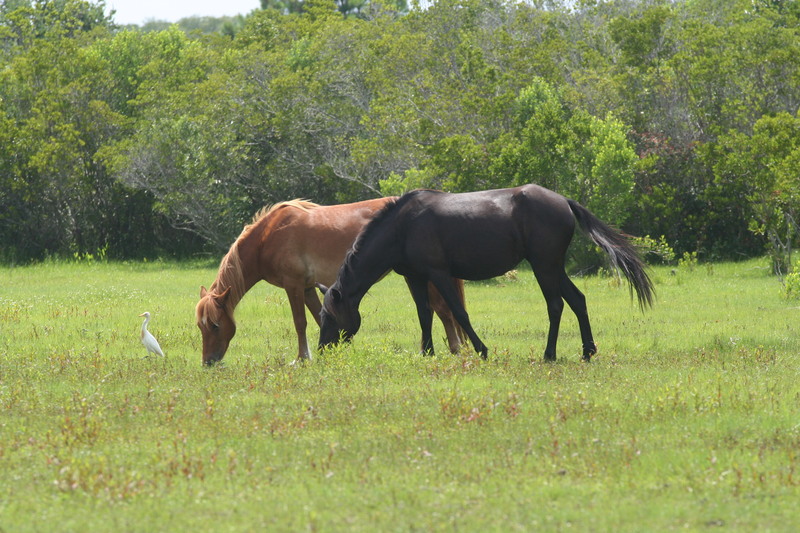 These horses have been proven to be descendants of Spanish Mustangs brought to the New World by explorers and colonists as far back as the early 1500’s. 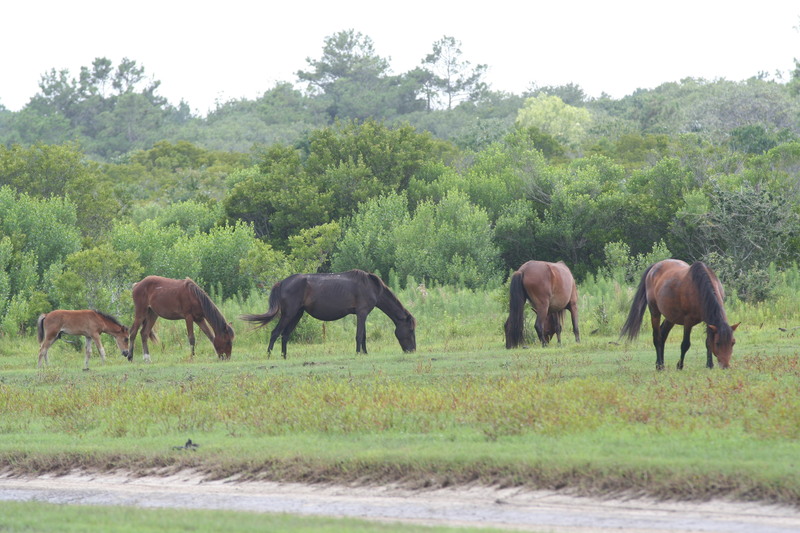 They have been given protected status and have been moved north along the coast to roam from Corolla to Currituck Banks where it is mostly undeveloped lands and therefore safer for the horses. 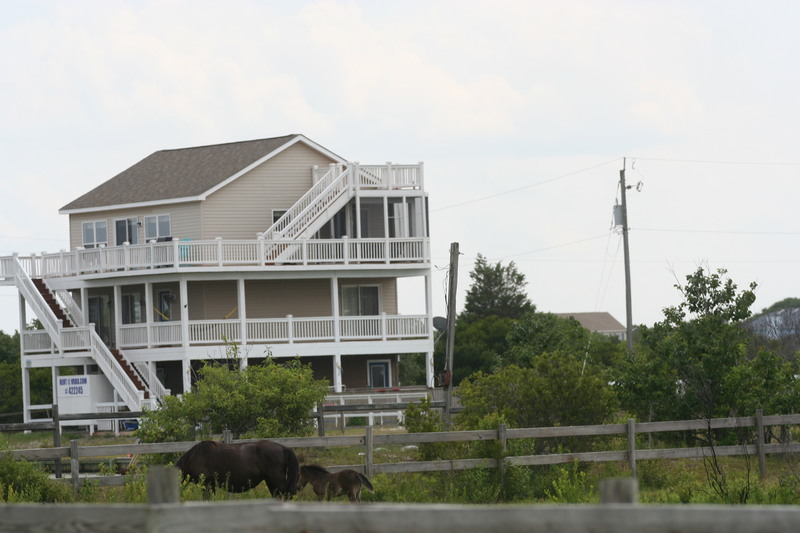 But the horses are quite used to people and those who live in the area will often find them grazing in their yards. 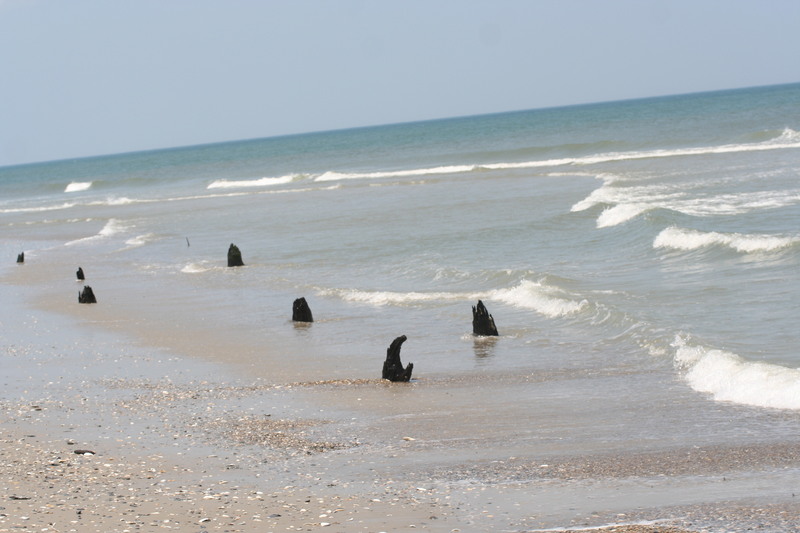 On the day that I saw the horses the initial pass along the beach found the horses absent. We drove a short distance inland and spotted two harems in a meadow. 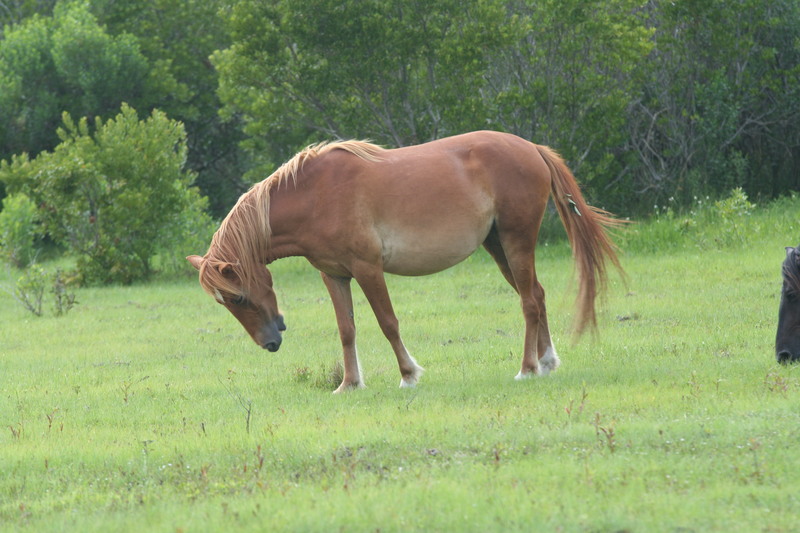 The dominant stallion in the larger harem took offense to the smaller group grazing in the same area and he trotted over making his displeasure known. Halfway to the other group he made his point and they soon departed. 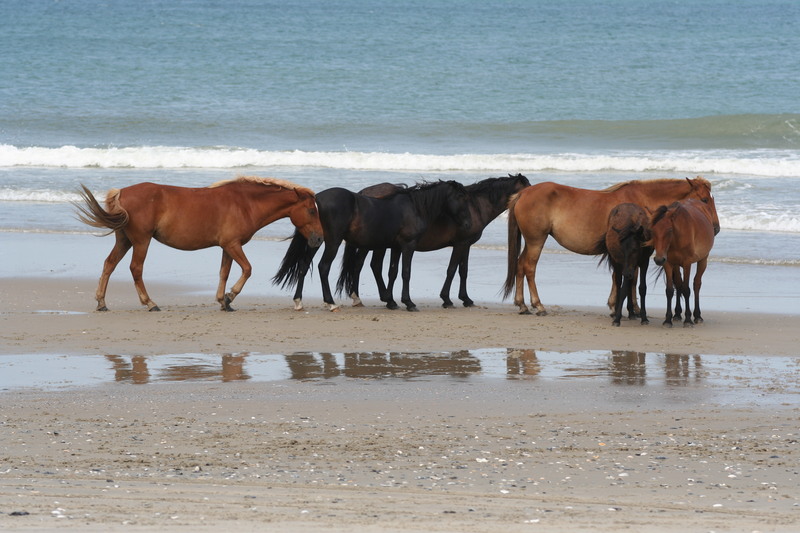 As we headed back along the beach we were lucky enough to see a harem of horses near the water. 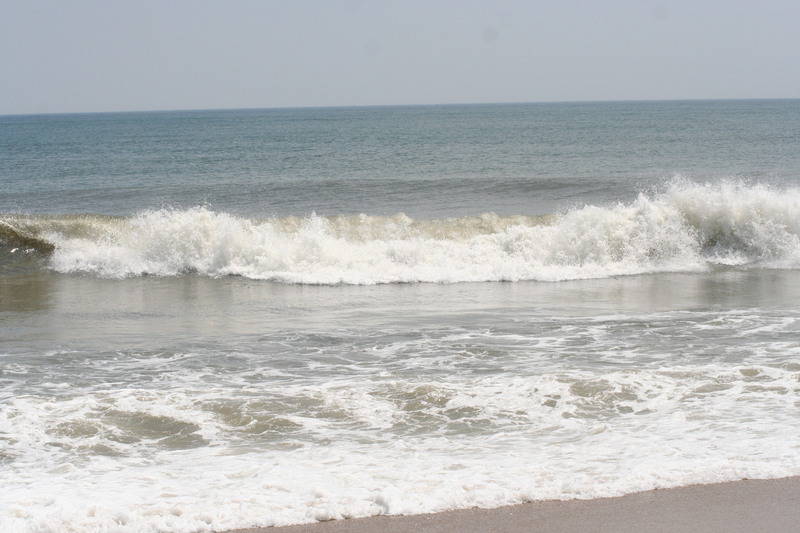 They were quite spectacular against the backdrop of the Atlantic Ocean. 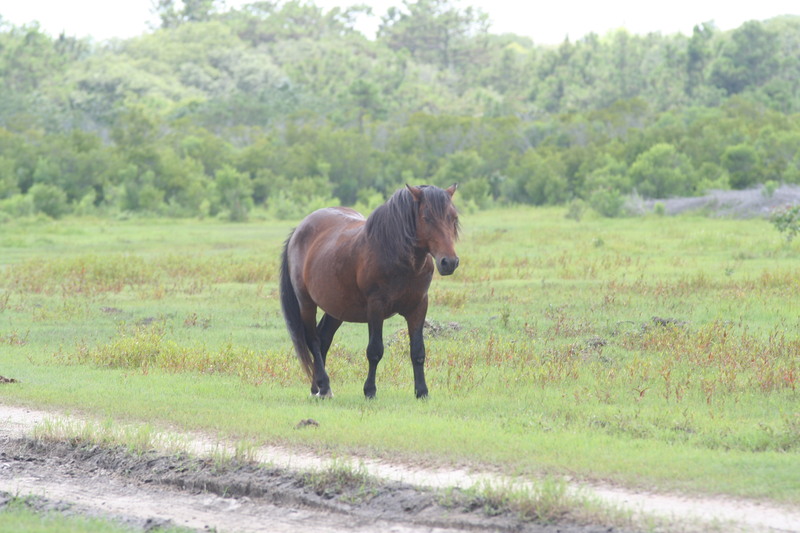 Categories: My Photography, My Writing, Outer Banks | Tags: harem of horses, North Carolina, Outer Banks, wild horses of Corolla, wild Spanish Mustangs | Permalink.